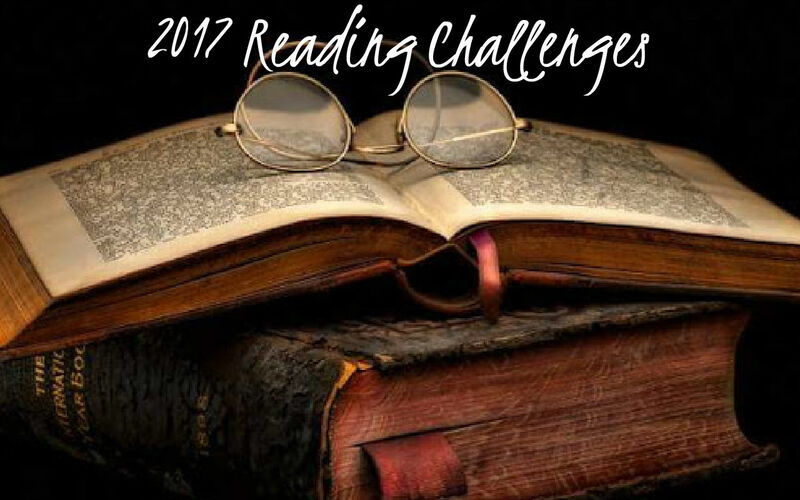 I haven't signed up for many yearly reading challenges in the past few years so I thought I would try again this year. We shall see. 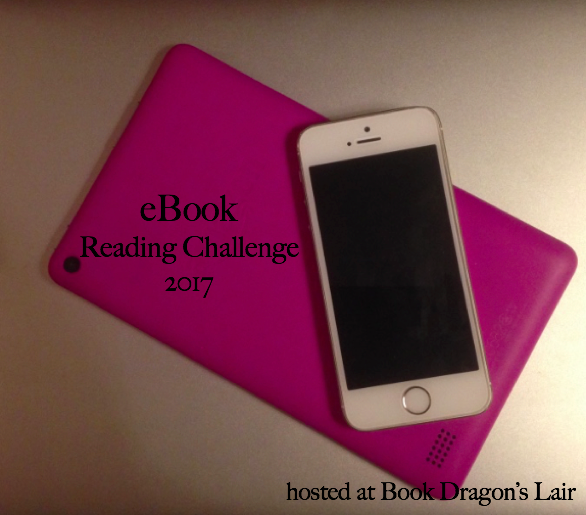 I'm going to be keeping track of all reading challenges on this blog from now on. Having a separate blog for reading challenge tracking is too time consuming. I will have tabs in the menu for Reading Challenges and Long-Term/Perpetual Challenges. 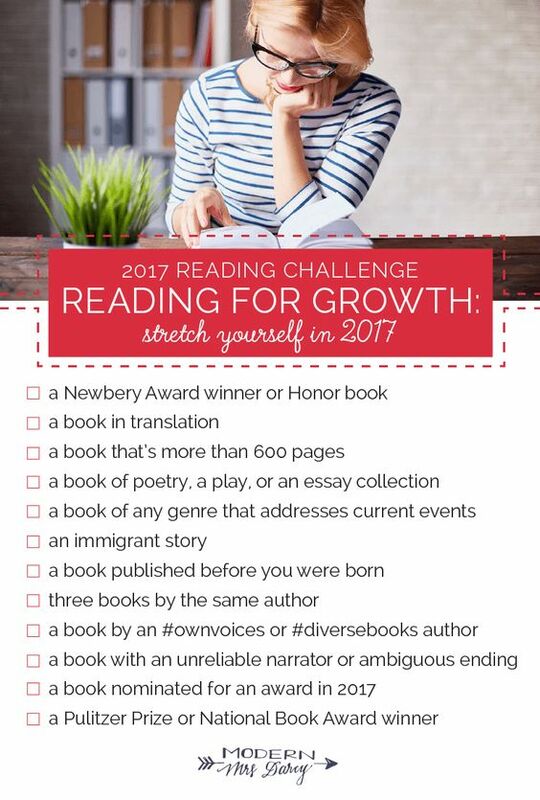 I started this reading challenge as a way to help us stay accountable on reading for the perpetual challenge. I'm going with the Eager Reader level - 4 to 8 books (I may read more...who knows). This one is self explanatory. I have a list of 2017 movies being adapted from books over at the blog. I'm going to do Level 3b: 4+ books and 4+ movies from any release year. I'm working on one right now...American Gods by Neil Gaiman. The series is coming to Starz this year. This one was inspired by the #RYBSAT (Read-your-bookshelf-a-thon). 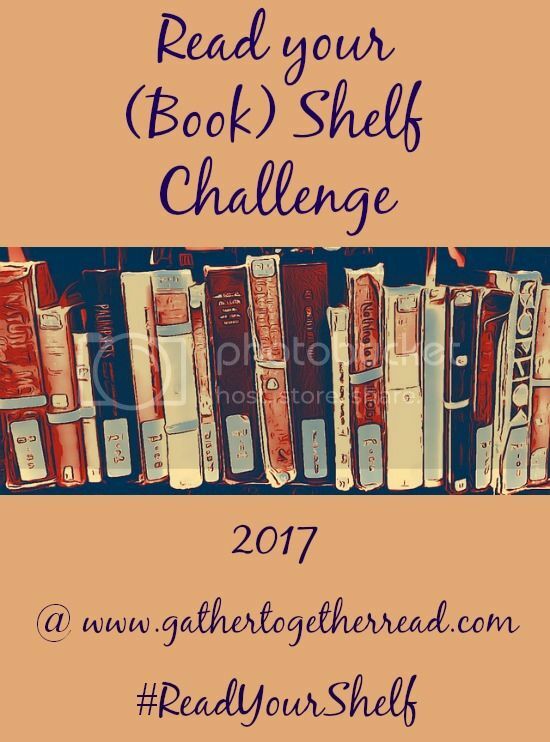 Basically, you pick a shelf on your bookshelf and read 12 books (one per month) from that particular stack, row, pile, etc. Full details and explanations are over at the blog. The image below is of my stack. 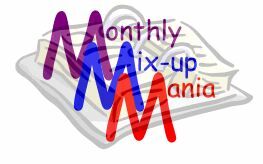 I decided to randomly select (with Randomizer) my book for each month. 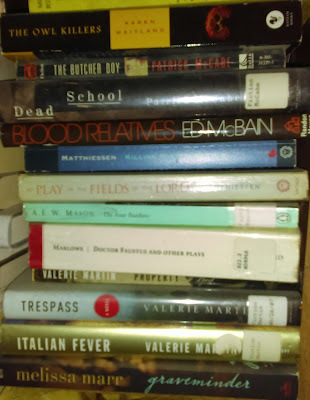 My book for January is Property by Valerie Martin, number four counting from the bottom of the stack. Except For those pesky Q, X AND Z titles the word that startswith the challenge letter can be anywhere in the title. For complete challenge details and to sign-up, visit this post. I'm going with plan A. I'll work it out as I go along. This mystery challenge will have no publication date limits. 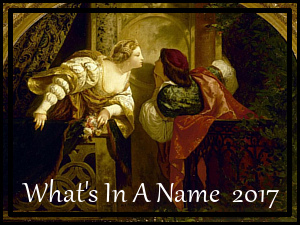 If it's a mystery--it counts and it does not matter when it was published. Your goal? To follow a set of clues furnished by the mystery books you read to create a body of evidence to support a book court case. Each book clue should lead you to your next read. 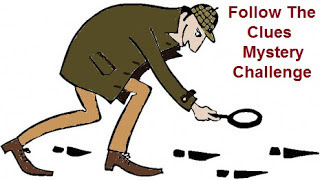 The connection can be anything at all from author names to motive for murder to type of mystery (police procedural, espionage, romantic thriller, etc) to an item on the cover, but you must be able to make your case to the jury on your detective logic. I would prefer that you not read eight books from the same author and use the author/series character/etc. as the clue link, however. Evidence Trail Example: if the first book I read is by Agatha Christie, then my next book could be Arrow Pointing Nowhere by Elizabeth Daly who has often been referred to as "Agatha Christie's favorite author." Using "Arrow" from the Daly book's title, then House of the Arrow by A.E.W. Mason (published in 1924) could be next and it might lead me to another book published in 1924...and so on. If you have doubts about whether your clue is convincing OR you need any clarification about the challenge at all, you may approach the bench with questions (phryne1969 AT gmail DOT com). I'll admit to being a bit confused by this, but I'm sure I'll figure it out. I'm going to do the Infraction -- six books read in a single chain of evidence level. I'm up for the challenge! Reading award-winning Sci-Fi and Fantasy throughout 2017. There are levels, there's also a BINGO challenge, and a Facebook group. There are lists to refer to, if looking for inspiration, on the host blog. I'm going to start with Ursa Minor - 1-4 novels, but may read more and then I'll move up. I looked at all the yearly challenges out there offered by Better World Books, Book Riot, PopSugar, but I found their lists to be a bit daunting. Then I came across this one. or the "Reading for Growth" list. When you sign up, they send you an email with a download link for printables to keep track of your progress. They also encourage book journaling (in an "in real life" journal), something I've been wanting to do. I'll give it a shot this year. The list is just challenging enough, but not overly much. I'm going with the Reading for Growth list. This is a category-based challenge. Fun! This is another category challenge. Cross overs are discouraged, but it's not a requirement. I read a lot of horror. This one is relatively straightforward. There are levels and if you complete the level you sign up for, you receive a badge. Awesome! 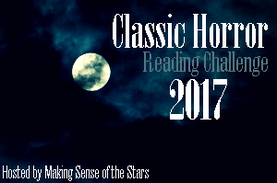 MYSTERY BADGE Read and review 50+ horror books in the 2017 Horror Reading Challenge to receive a special Coolthulhu-approved badge demonstrating your tentacly-awesomeness. I'm going with the Initiate level: 8-15 horror books. 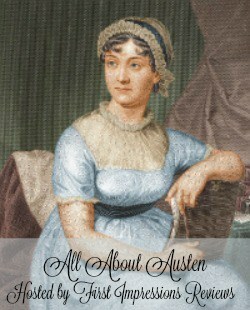 Books are reviewed at my sister blog, Castle Macabre. Pretty simple - How many pages can you read this year? I'm going with the Apple Tree - Read 48,000 pages level. I'm signing up for the Byte – 10 books level. Any full length book that includes a witch as a main character or includes major witchcraft elements counts. They may be fiction or non-fiction. I'm doing the Initiate: Read 1 – 5 Witchy Books level. To read a book for each letter in the year. That's right, a title for the J in January and the A in January, etc.... 74 books total! End date: March 31, 2019, yes, two years, because well, we have other challenges to do. Go here for complete details, and here to sign up. This one is hosted by Exploding Steamboats on Goodreads. 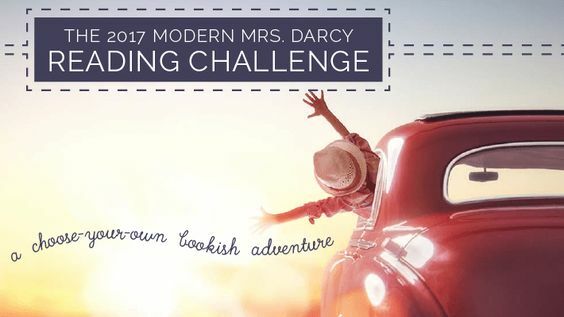 Visit the Goodreads link above for full details/to join the challenge. I will decide on my number of books once I've evaluated the books I've abandoned. You don't have to join in every month and unfortunately I'm not able to for Frankenstein this month (bummer), but I will definitely be joining in on other months. For details and to sign-up, visit this post (although I'm not seeing a sign-up post). How about you? Did you sign up for any challenges this year?